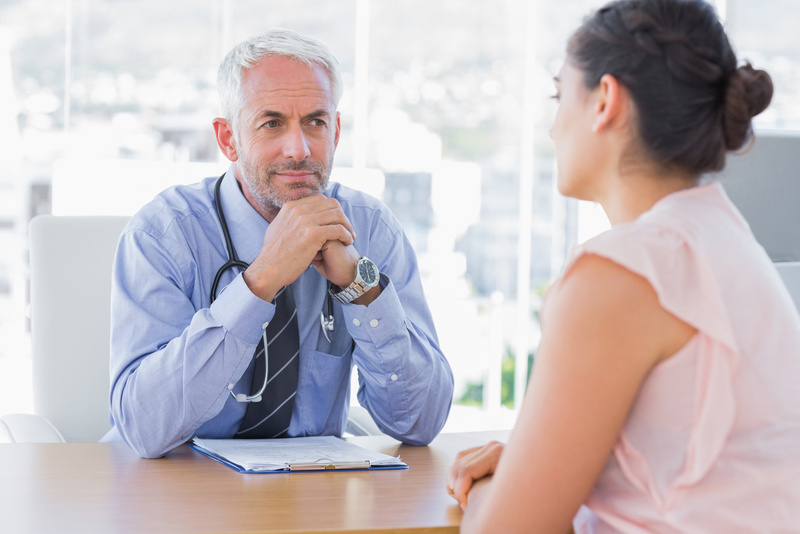 Early HIV intervention can help you find the treatment you need. Nothing is more important than getting tested for HIV as soon as possible. If you test positive, an early diagnosis can increase your chances of managing the virus. Early HIV intervention is a crucial step in protecting your health. HIV can be a tricky disease that likes to hide. This makes the virus difficult to treat before it attacks the immune system. In a study to better control the disease’s progression within the body, the Rockefeller University tested and treated monkeys infected with an HIV-like virus. Find out the results of their research and what this could mean for patients with HIV. The Rockefeller University and the National Institute of Health wanted to find a way to tackle HIV while it lays dormant within the body. The virus often hides like this to avoid being eradicated. It waits for the perfect opportunity, like when treatment is interrupted, to attack the immune system. Using macaque monkeys and a model of HIV, the researchers were able to simulate the effects of the HIV virus in humans. 13 monkeys were tested over a two-week period of they were injected with the virus. While the model, which is known as the simian-human immunodeficiency (SHIV), is not a 1 to 1 recreation of the virus, it helps explore ways to control the virus. The new treatment uses two anti-HIV antibodies to give a boost to the immune system. These antibodies were discovered in individuals with a rare ability to fight the infection. New drugs (3BNC117 and 10-1074) were developed and they enable the body to take control of the virus and hold off its effect for a long period of time. However, the researchers suggest that this all works because the treatment was given soon after infection. The monkeys showed significant improvement after taking the new drugs. After treatment was initially given, HIV levels dropped until they were nearly undetectable. The positive progress of the subjects continued 5 to 22 months later as the monkey regained control of the virus. The virus then dropped again and stay at low levels for another 5 to 13 months. Further studies need to be done to see if this treatment is feasible in humans. During the study, the scientists also investigated cytotoxic T cells. When they decreased these cells in the monkeys’ bodies, SHIV levels increased. It proved that these cells may have helped the monkeys fight off the virus. Their next test is to see if the drugs are still effective after long-term infection and without early HIV intervention. They are going to have the monkey exposed to the virus for about two to six weeks before treating them. Hopefully, the results will remain positive. Scientists are holding for a new HIV neutralizing antibody. It is always good news when scientists make brand-new developments in HIV research. Breakthrough information helps scientists and doctors create new medicine and therapies for patients. A recent study from the Rockefeller University in New York and Prof Florian Klein, University Hospital Cologne and German Center for Infection Research (DZIF) has found an HIV neutralizing antibody effective against an HIV strains. Scientists are optimistic about the newest generation of HIV neutralizing antibodies. Prof. Florian Klein and his team decided to test one of these antibodies. They wanted to find out if it could be used to treat the disease. The 10-1074 antibody targets a certain structure on the HIV envelope protein. The antibody proved effect as a drug and antibody during testing. The results of this research saw a high antiviral activity within patients who have HIV. Through the collaborative work among the three institutions, this is positive news for patients with HIV. They are already looking at how the virus escapes most antibodies. “We performed a comprehensive HIV sequence analysis to investigate the dynamics and mechanisms HIV uses to escape the selection pressure by the antibody,” says Dr. Henning Gruell, one of the first authors of the current publication. HIV is still a troubling disease. By the end of 2015, there were 2.1 million newly infection patients with HIV and 36.7 million people living with the virus. More than 18.2 million are prescribed antiretroviral therapy. These numbers are startling. The most important thing anyone can do in the fight against HIV is get tested. Knowing your status helps you take the rights steps to protect your health. Visit an HIV doctor today. HIV’s Ability to Disguise Itself: Can a Vaccine Hit a Moving Target? The quest to eradicate HIV is proving to be an extremely difficult. One of the reasons for this is due to HIV’s ability to disguise itself. It is like a shifting and ever-changing target that the immune system finds impossible to keep up with. Determining how best to neutralize and beat the infection, and to solve this part of the puzzle, has been the subject of much debate and study. One recent bit of information could help move the process along and, perhaps, could even result in an effective vaccine. Antibodies are specially designed to attack intruders that invade the body. They do this, and remarkably well, by attaching themselves to the invader. Thankfully, there are known antibodies that can neutralize HIV. The problem is, once danger is detected, the virus is able to shift the location where antibodies attach to HIV. By doing this, the virus evades the host’s immune response and continues to infect nearby cells. One research team did find that there are sites on the virus that do not shift as readily. Another encouraging finding is the most effective antibodies latch onto these sites and destroy the virus before it has an opportunity to escape. Even when the site shifts, some of the antibodies were able to follow the shift and enter at the new site. This important information could not only lead to new vaccines against HIV but to other difficult viral infections, as well. Further research is needed to learn how best to target the virus. Moreover, additional study of these antibodies, and how to increase their number within the body, will aid in developing new vaccines and treatments. Further investigation into HIV’s ability to disguise itself will help in identifying the best sites on the virus for antibodies to access. In the meantime, researchers are optimistic that this new information has put them on the path to winning the war against HIV. Researchers are looking at certain antibodies that seem to prevent the infection of HIV. They recognize the need to know what kind of response they need to trigger with a vaccine to make it the most effective. Understanding antibodies may be the next step in HIV vaccine research. Based on past studies, many scientists have thought if the V1V2 regions of HIV were removed, the virus would be more susceptible to attacks by the body’s immune system, i.e. immunoglobulins, or antibodies, thus decreasing the viral load in the body. New studies, however, are finding that there is only one type of these immunoglobulins, IgG3, that can possibly lower the risk of infection by triggering an antiviral response. Another study found that immunoglobulin G3, when used in vaccines, was involved in the HIV elimination process. Researchers found that the number of the antibody V1V2- IgG3 in the blood of the patient who had received the vaccine went down. The efficiency of the vaccines tested in this trial also went down by almost 50 percent over a three-and-a-half year period. To sum, this particular study showed that the vaccine scientists dubbed RV144 had some antibodies that could coordinate more than one organized process to get rid of HIV. These processes came mostly through the V1V2-IgG3 antibodies. Further research is required to truly test the effectiveness of IgG3 antibodies in preventing HIV infection. Scientists also want to uncover the connection between the rapid decline in the amount of IgG3 and the efficiency of the trial vaccine. Understanding antibodies may unlock the key to discovering an effective HIV vaccine to eliminate the virus by building on the foundation laid by the success or failure of the previous test. The concept of an effective HIV vaccination is a difficult theory to comprehend. The fact is that a viable vaccine would have to introduce enough of the disease for the body to create antibodies for it. The issue is that even when a person has full-blown AIDS the body can’t put up any kind of defense. So how to get the body to protect itself against a disease that fights the immune system? That is the difficult challenge that faces researchers who have dedicated themselves to finding a vaccine for HIV. Researchers are working on such a strategy right now using antibodies from the blood of the rare individuals whose bodies have managed to create some of these elusive antibodies. The idea is to find a way to create antibodies for any person based off of the antibodies of these special few. The researchers have observed and attempted to reverse engineer the process by which the bodies of these special individuals are able to create effective antibodies. 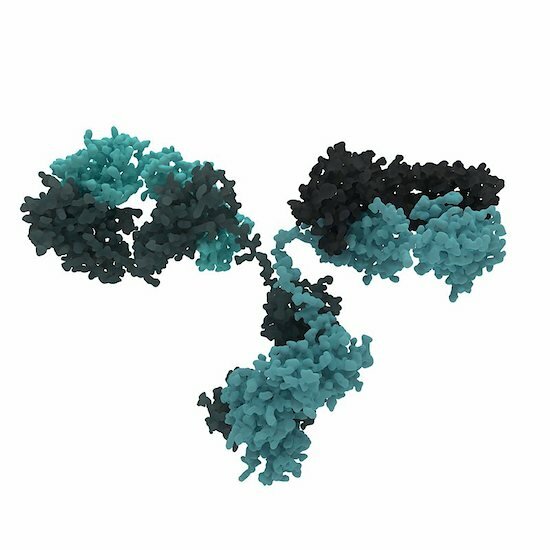 It is hoped that the molecules they have observed at the onset of the antibody creation are the key to an effective vaccine. While these findings may not directly result in a viable vaccination for HIV, it is clearly a big advancement in what has been a long and frustrating search. Millions upon millions of dollars have been heaped into research over the past several decades, and yet very few strides in the right direction have been taken. Thus, any glimmer of hope is still clung to by researchers. Since the molecule worked as expected in a test tube setting, animal testing is next. If the molecule can get the bodies of animals to consistently make HIV antibodies, then it can progress to the human testing stage. Years, of course, will go by as the studies continue on.